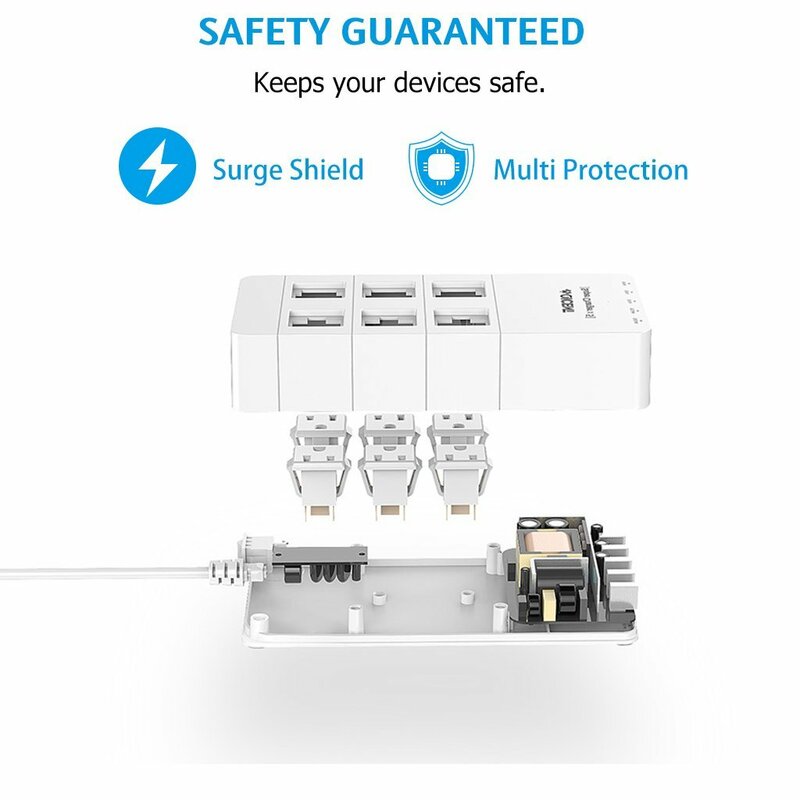 What a QICENT Surge Protector can Do for You? 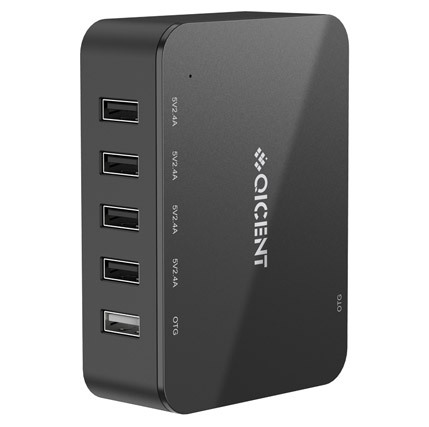 QICENT high-end designed surge protector has enough power outlets to handle all your devices at once. 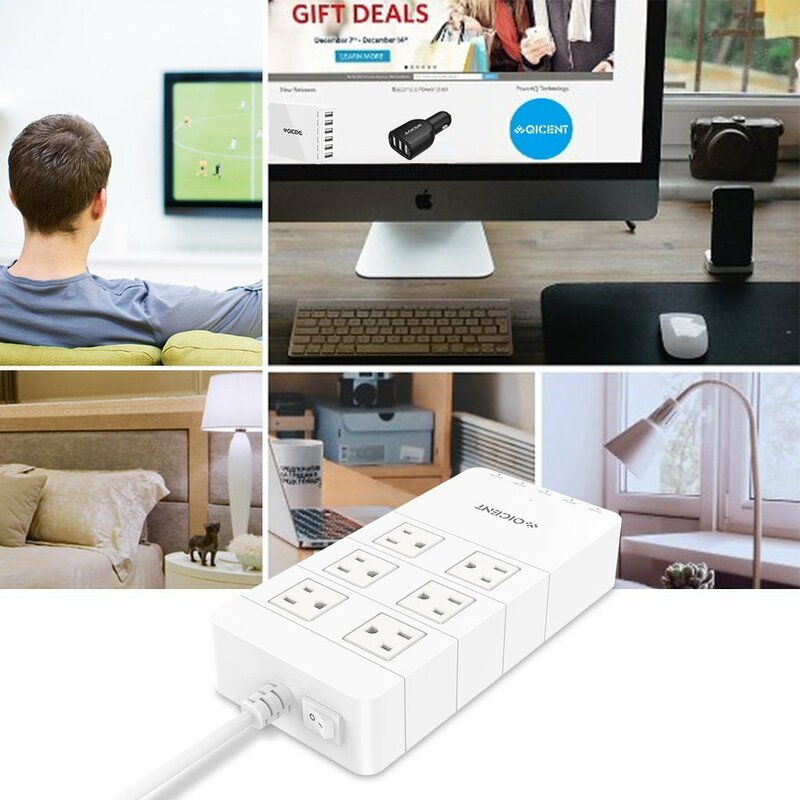 It features 6 outlets and 5 ports USB chargers that let you plug in and charge all your essential devices wherever you are. What is more, fireproof material ensures long durability and safety while using. • Its clean and efficient design means that it is good looking, its high-end outlook marches perfect with your nice home and office use. 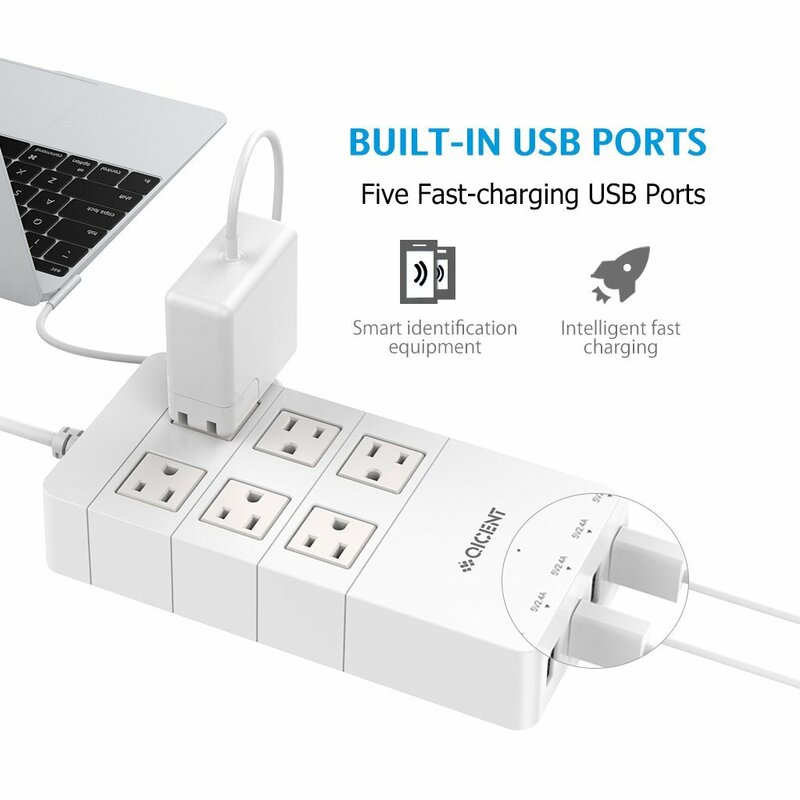 • Its neatly arranged sockets cause less clutter, save space efficiently. 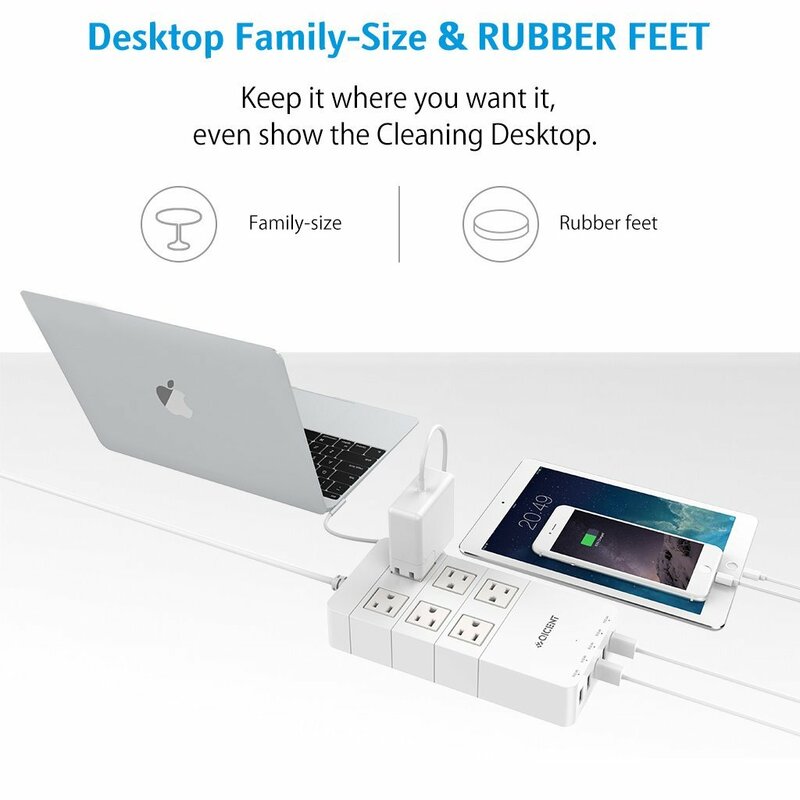 • Its built-in 5 Ft. power cord allows connection to a distant wall outlet. 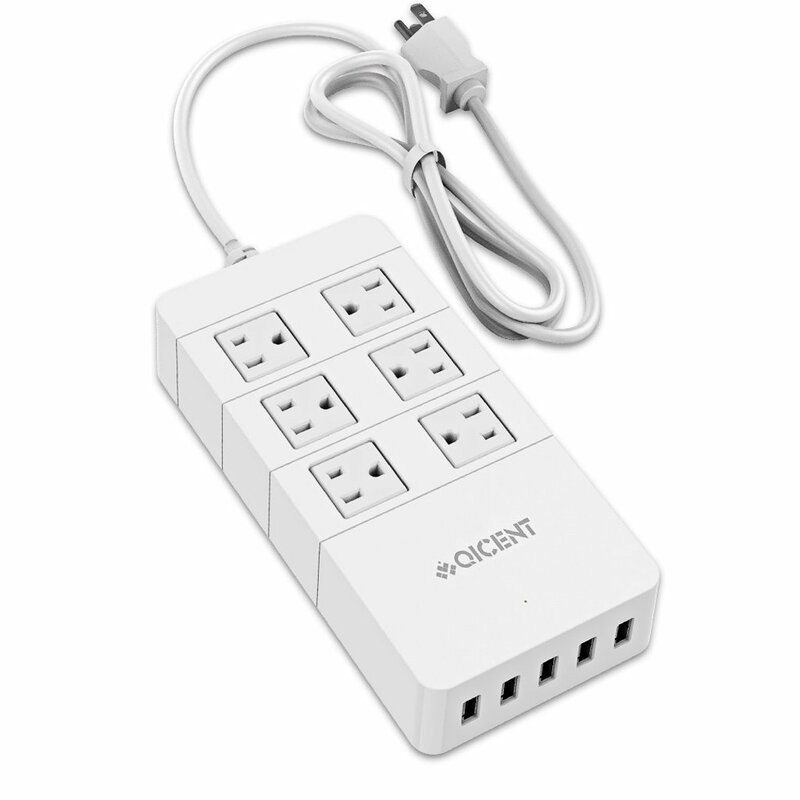 • Its On / Off switcher that allows users to control power supply without pulling off from wall outlet. 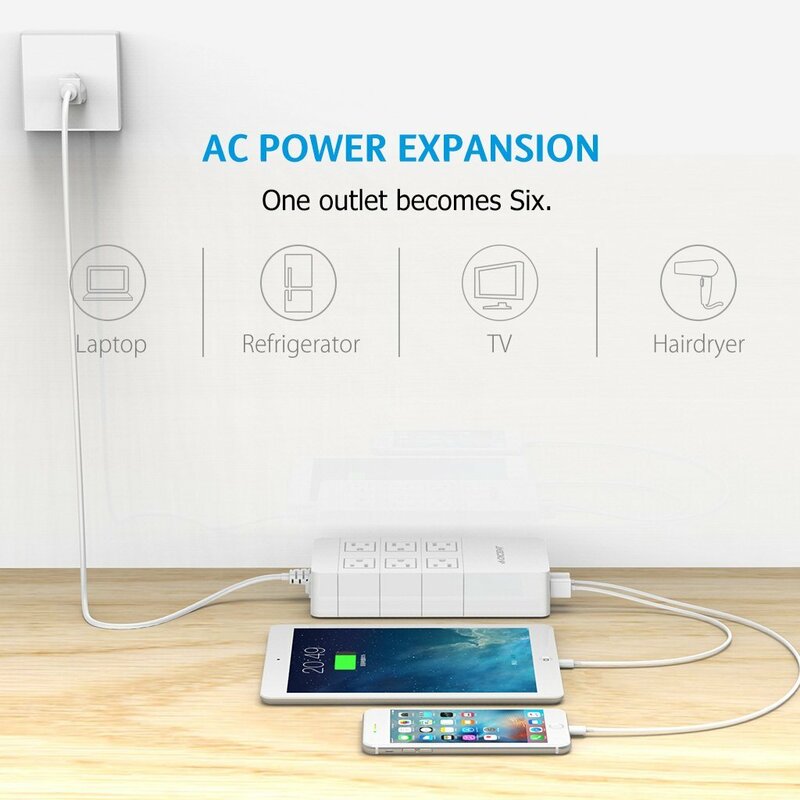 • 5 USB Charging Ports can easily charge your cellphone along with other USB devices with a max power output of 40W. Its integrated intelligence charging technology enables the charger to deliver the fastest possible charge speed up to 2.4 amps per port.